Know someone interested in transferring from a college to a university, or a university to a college, or combining both a diploma and a degree? ONCAT collaborates with colleges and universities to make this system of student mobility a reality. Hit play and learn how we do it. 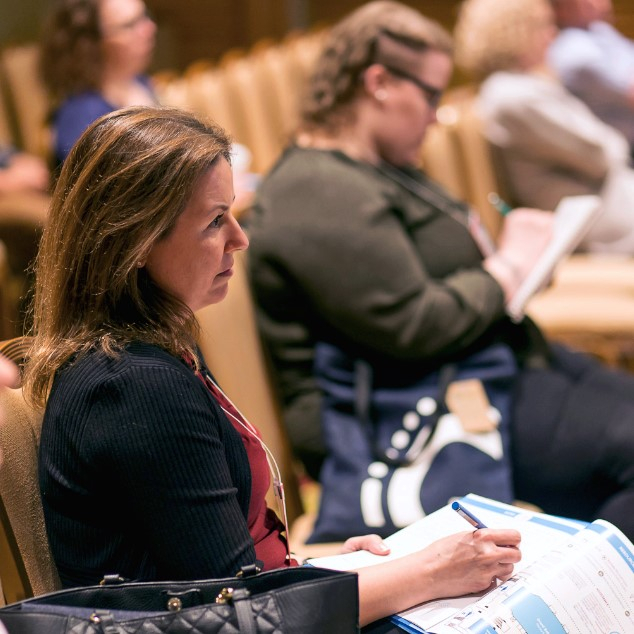 Video Agency: Brand Heroes Inc.
ONCAT’s 7th annual Student Pathways in Higher Education Conference took place April 16-17, 2018 at the Toronto Marriott Downtown Hotel. This past March 2018 marked ONCAT’s 2017-2018 year-end. 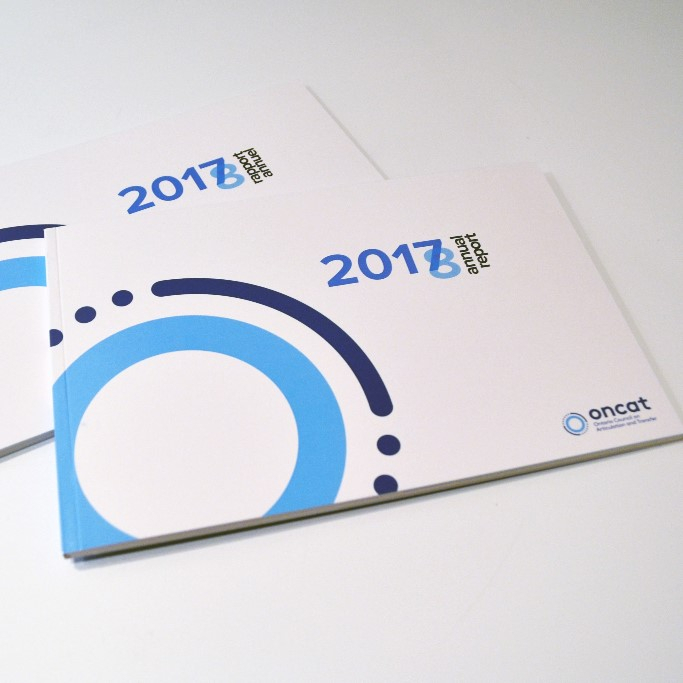 We’re pleased to look back on ONCAT’s progress with our Annual Report. The report is available for download or viewing online here, along with previous reports. Community of Practice (COP) representatives from our 9 Francophone & bilingual institutions gathered for the second time this year. Key challenges and opportunities that impact student mobility for Francophone & bilingual students moving through the system were discussed. We also received very helpful feedback on ONCAT’s Project RFP process and confirmed our co-chairs for the upcoming year: Lise Frenette (Manager - Special Projects Support Services, Collège La Cité) and Maxime Allard (Président, Collège universitaire dominicain). 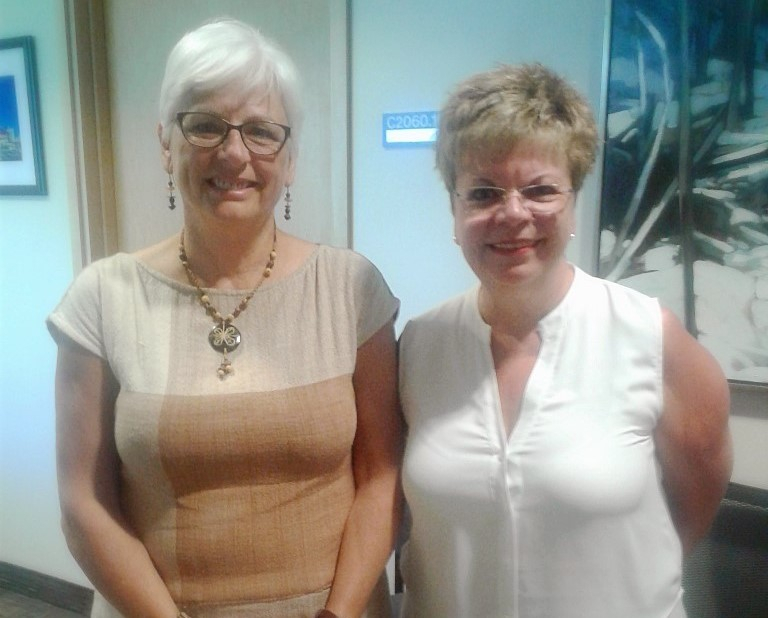 The meeting was hosted by the wonderful team at Collège La Cité [Photo: Chantal Thiboutot (left). Lise Frenette (right)]. 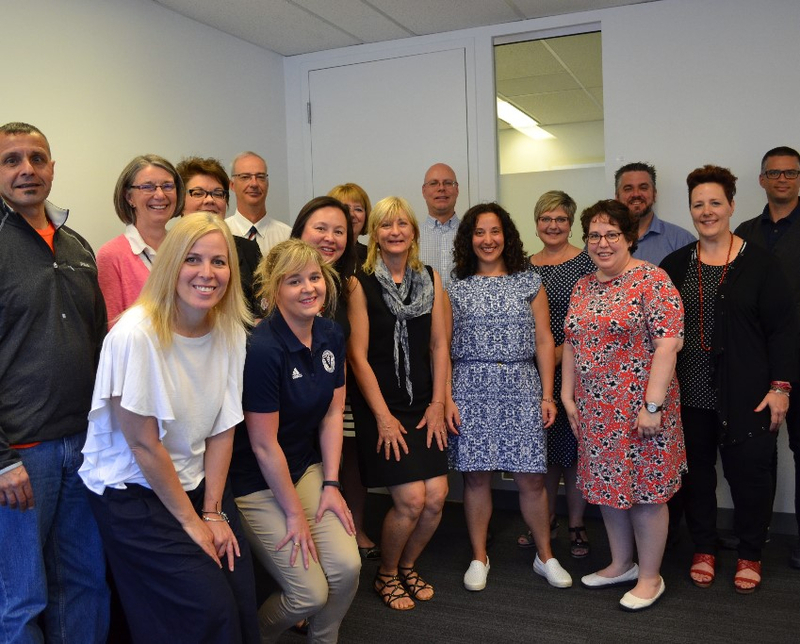 The Northern Ontario Pathways Steering Committee (NOSC), made up of members of the North’s 6 colleges and 4 universities, met for the second time this year. The Committee supports the development of an integrated strategy to create student pathways and enhance institutional collaboration among Northern institutions in Ontario. 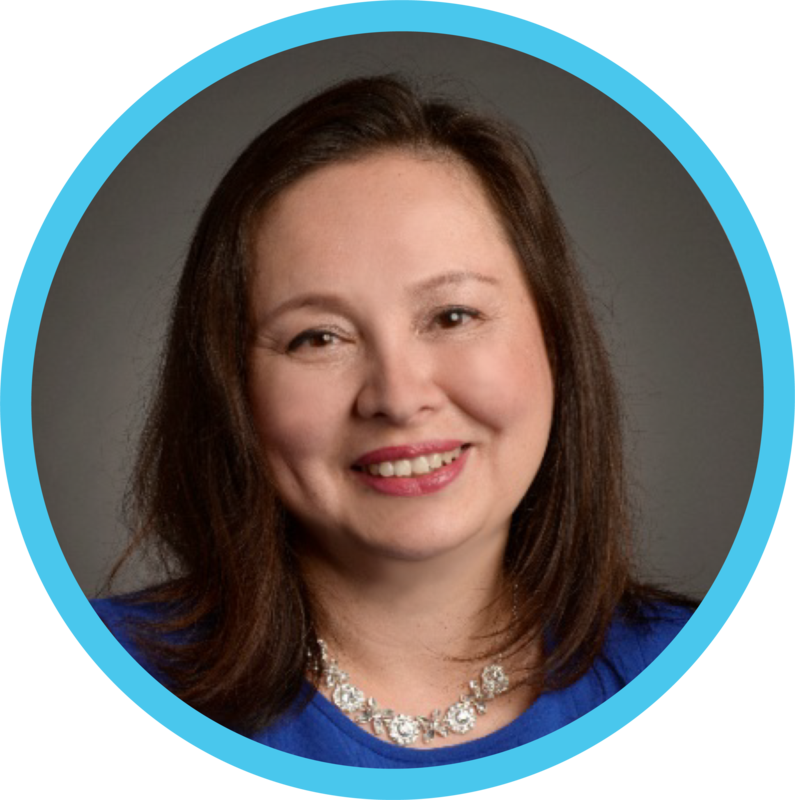 Part of NOSC's mandate includes: encouraging dialogue about new ideas and initiatives; exploring pathways and support networks for Indigenous students and other underrepresented groups throughout the PSE spectrum in the North; and providing a Northern perspective on the ONCAT Secretariat’s activities. I can’t believe how quickly time passes. It seems like only yesterday that I took on the role of Executive Director, yet here we are, almost six months into my tenure, the summer is fast-approaching, and so much has already happened during this time. Before I talk about what’s been happening at ONCAT, I would like to congratulate Premier-elect Doug Ford and the Progressive Conservative Party on their successful campaign. I would also like to congratulate and welcome the new and re-elected MPPs of all the political parties. 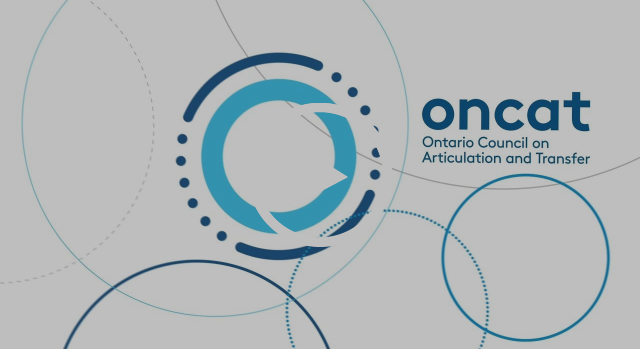 As a provincially funded organization, ONCAT looks forward to working with the new government, and all its members, as we continue to build a system of mobility for students in Ontario. Since our last e-newsletter, we have spent the last few months continuing to review RFPs, and negotiate budgets and deliverables. While there were two calls for RFPs, generating some really interesting proposals, there was no doubt that this year’s process was severely impacted by the labour disruptions at our colleges. That said, we are eager to move forward with our partners who did receive funding for projects, and are already thinking about our next round of RFPs. This year, in an attempt to make the process more efficient, we implemented a new online submission form, and applied some new criteria. As with all new things, there are still kinks that need to be worked through. If you have any feedback on the online submission forms, or have ideas on how to make the process better, we would really like to hear from you. Keep reading above to learn how you can help us improve our processes. In April, we released our Annual Report, highlighting the many accomplishments of our organization, as well as our college and university partners. If you would like to download a copy of the report, please click here. We also celebrated our 7th annual Student Pathways in Higher Education conference. In spite of the ice storm creating havoc throughout the province, I was really pleased and overwhelmed to see that so many of our delegates were not deterred, and scrambled to make alternate arrangements. Given the weather tracking that I was doing, I can also now profess to be an expert in flight information for anyone travelling to Toronto from outside of the GTA. I would like to thank all of you for making yet another conference such a success. I would also like to acknowledge the team at ONCAT for all their hard work, particularly Sonia Chwalek and Lia Quickert, and our conference planner, Jeannie Boyes. While I enjoyed meeting many of you at the conference, there definitely wasn’t enough time to sit down and get to know all of you. Over the summer, I am looking forward to visiting as many institutions as possible, to really connect with our partners, learn more about your institutions, what’s working, and talk about areas for improvement, in the realm of credit transfer, student mobility and access. This is particularly important as our board begins a strategic planning session in the fall to determine the next steps for our organization. And finally, we are looking to fill some vacancies on our board. The nominations will be posted soon on our website. I hope you have a great summer, and am looking forward to connecting with you as we gear up for the next academic year. You are receiving this email because you are subscribed to ONCAT News / Nouvelles du CATON.